The idea of changing the name of the capital – in tribute to outgoing head of state Nursultan Nazarbayev – was suggested on March 20 by Tokayev during an inauguration speech that dwelled heavily on the past. 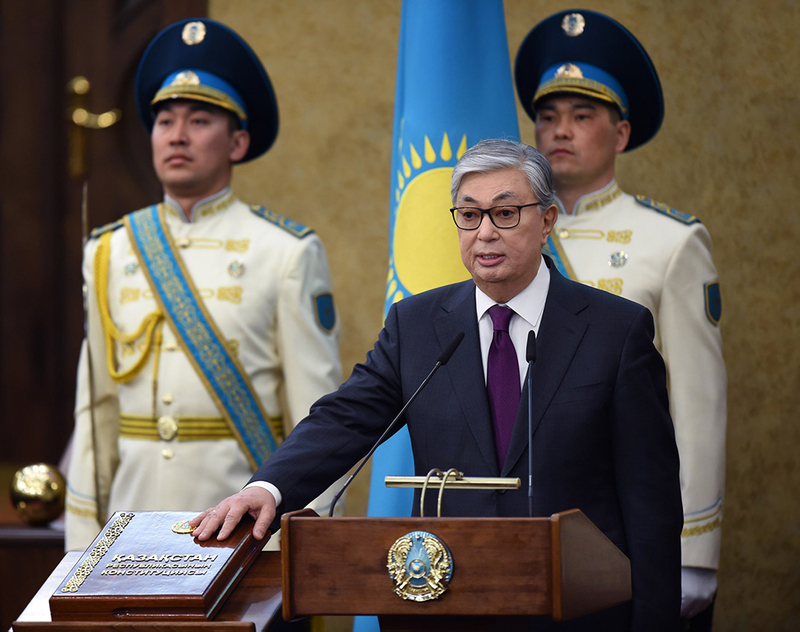 Tokayev closed his address with proposals to “immortalize the name of our great contemporary.” Later in the day, parliament rubber-stamped the renaming of Astana with head-spinning speed. The main street in another major city, Shymkent, has already been designated Nazarbayev. Tokayev was born into an elite Soviet family – his father was an eminent writer and war hero. A graduate of the prestigious Moscow State Institute of International Relations, he started out in the 1970s in the Soviet foreign service. His time in China and Singapore helped develop his Mandarin- and English-language skills. The transition into the higher echelons of Kazakhstan’s diplomatic corps after the collapse of the Soviet Union was natural and smooth. For two stretches, from 1994 to 1999 and 2003 to 2007, he served as Nazarbayev’s foreign minister. 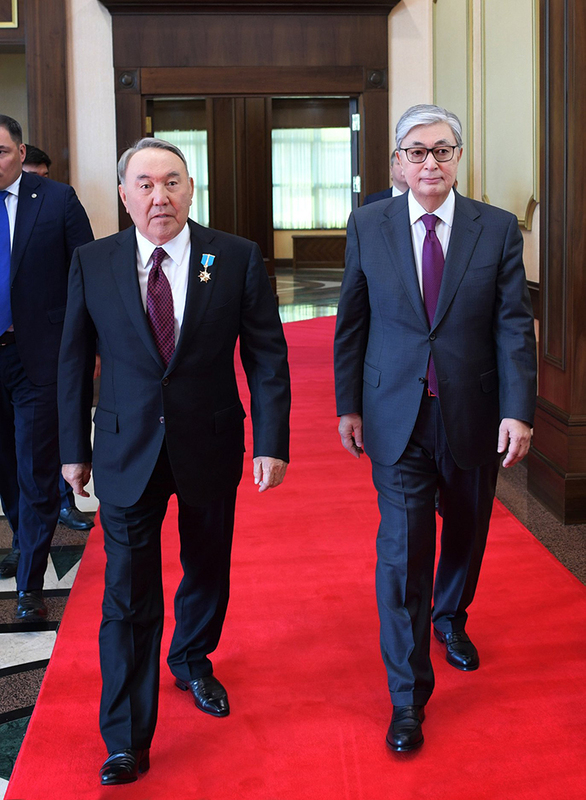 Although Tokayev, as Senate chairman, was legally required to assume control if the president stepped down, there is more to Nazarbayev’s choice than strict observance of protocol. Nazarbayev may have been partly influenced by how the succession process played out in neighboring Uzbekistan after the death in 2016 of his contemporary, President Islam Karimov. The late Uzbek leader’s heir, Shavkat Mirziyoyev, pays lip service to his predecessor’s legacy in theory, but is in reality dismantling it through a campaign of political and economic reforms. This scenario will be hard to repeat in Kazakhstan. As lifelong chairman of the national Security Council, Nazarbayev will retain wide-ranging power and an unavoidable stake in policymaking. This week’s coordinated game of musical chairs also saw Tokayev nominating Nazarbayev as a lifetime Senator. There is also some dynasty-making going on here. Dariga Nazarbayeva, a Senator in her own right, as well as the ex-president’s eldest daughter, was immediately picked to replace Tokayev as chair of the upper house of parliament. If Tokayev were now suddenly to leave office, Nazarbayeva would become president. Eyes are now fixed on the next major political appointment – the presidential elections that must take place by 2020. This could play out a few ways. A vote could be called early to bolster Tokayev’s legitimacy and prevent him from becoming a lame duck. Or a surprise new leader could be picked from a younger generation. Any scenario would see the cult of Nazarbayev as the unifying “father of the nation” becoming a dominant theme. Tokayev will simply fulfill the vision of Elbasy, or Leader of the Nation, as Nazarbayev is designated under yet another of his bespoke lifetime sinecure titles. Anybody harboring hopes of a shock to an economic and political system that even Nazarbayev acknowledges has failed to deliver for all his citizens will have to wait. Tokayev is more conformist apparatchik than reformer. Like Nazarbayev, he is a product of the Soviet Union. His career took off during the years of zastoi – the era of stagnation of the 1970s and 1980s that preceded the inexorable collapse of a Soviet empire run by doddery ideologues. Nazarbayev was infuriated by the impertinence of what called itself the Democratic Choice of Kazakhstan. In the standoff that ensued, it was Tokayev who played a key part in neutralizing the dissenters – whom he dubbed “plotters” – ensuring their removal from positions of authority. For that reason, it seems unlikely Tokayev will pay heed to calls from the likes of Human Rights Watch to “commit to meaningful and tangible political and human rights reforms” by allowing genuine political opposition groups to participate in elections and lifting restrictions on freedom of expression and assembly. On the streets of Almaty, ordinary people – many still reeling with shock at the news that their leader of 30 years had just stepped down – nurtured few expectations of change in the near future.